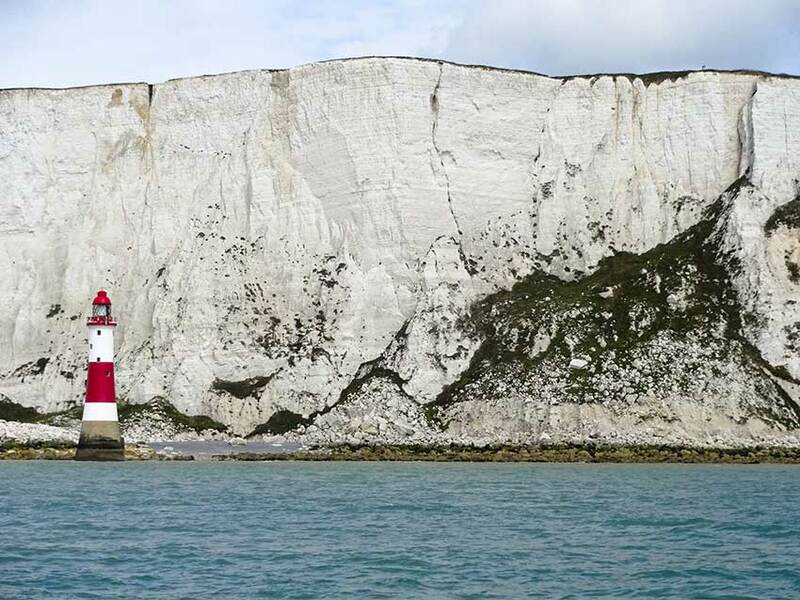 Beachy Head lighthouse and chalk cliffs. 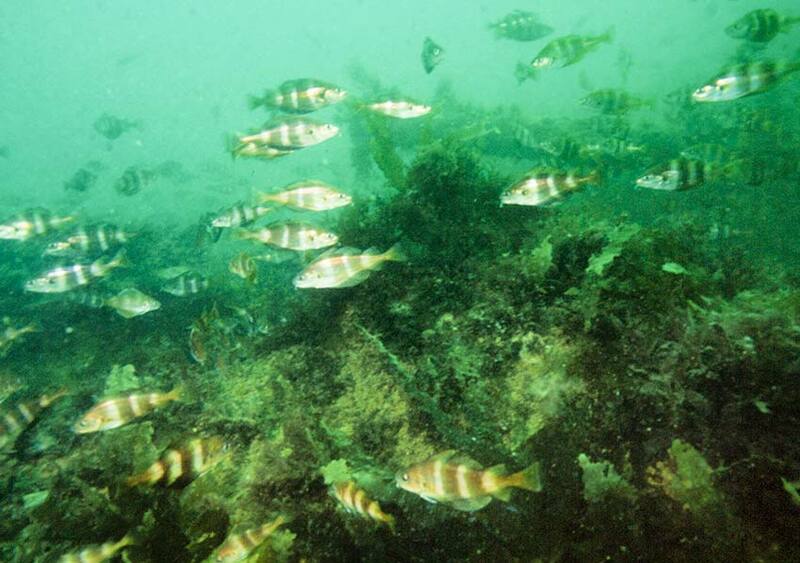 By the 1980s it became clear that we knew relatively little about our marine life and habitats. Just what is under the sea? Netting, dredging, grabbing, trawling and other indirect methods had provided us with a great deal of knowledge of what we have around our shores. Then came scuba (self-contained underwater breathing apparatus), developed by Emile Gagnan and Jacques-Yves Cousteau in 1943. The development and refinement of the equipment gathered pace making it possible for amateur divers to explore shallow inshore waters. In 1953 the British Sub Aqua Club was founded, bringing together enthusiasts and developing the skills required to be able breath underwater. It became clear that the ‘aqua-lung’ had opened up a whole new opportunity to learn about and understand the animals, plants and communities around our coast. As a result our understanding of marine life exploded. 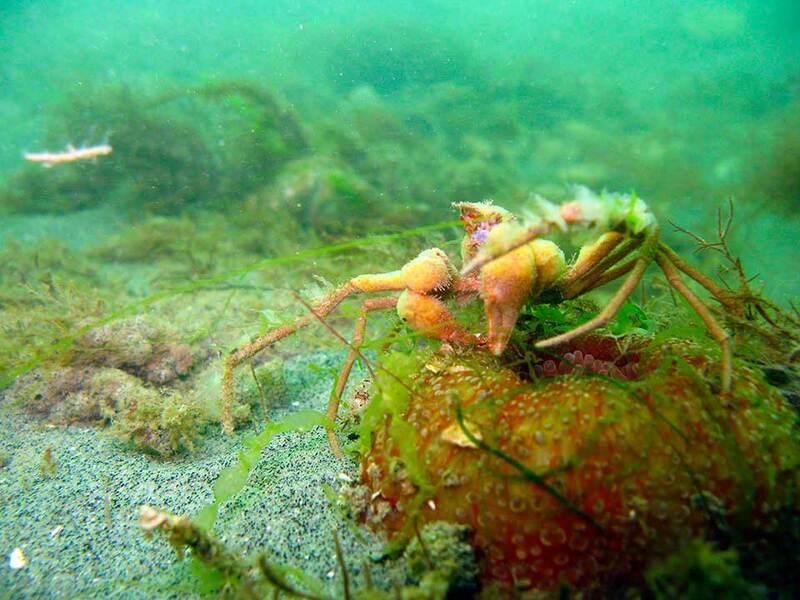 Spider crab, Inachus dorsettenis with sponges, standing on a contracted Dahlia anemone, Urticina felina. 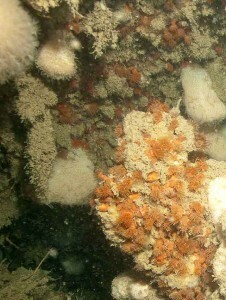 Compare this with the Seasearch Guide to Sea Anemones and Corals for Britain and Ireland by Chris Wood: ‘Diadumene cincta has been recorded from all coasts of the British Isles though most records are from the south coasts of England and Wales.‘ It is not rare, divers can find this anemone quite frequently on wrecks and other hard substrates. All because we can bottom truth and actually see what is around rather than randomly dropping a grab and seeing what comes up. Shoal of Bib, Trisopterus luscus. In the early 1980s the idea that the ever growing population of recreational divers could be exploited. They could record what they saw when they dived, not only helping us understand the marine environment but also provide them with a further incentive to dive, learn and develop skills – make diving even more interesting. Any dive can be a Seasearch dive. To help quantify and qualify the data some training is necessary, but this in itself is interesting and provides the opportunity for divers to expand their knowledge and enjoyment of the sport. 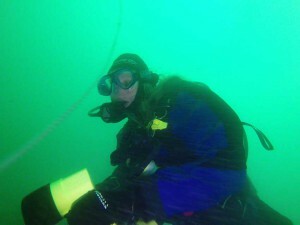 One of the first times that amateur divers became involved in surveying was in 1982 when members of the Marine Conservation Society, SE Branch carried out sublittoral survey work in Sussex. 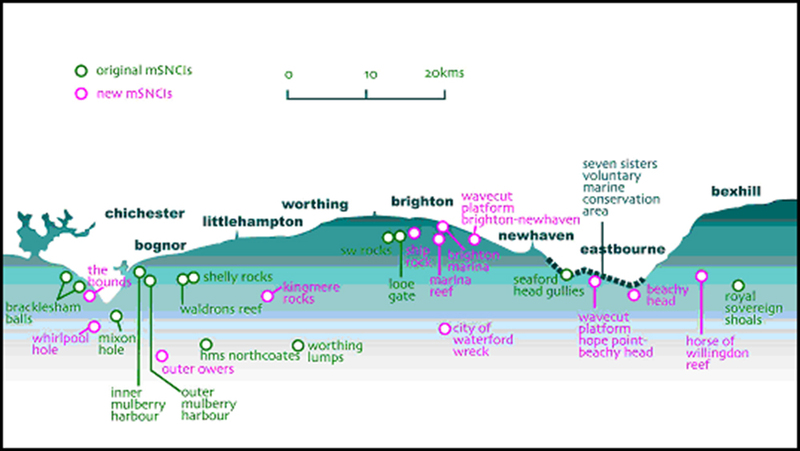 The data, together with information on other marine activities, provided a basis for recommendations for conservation of the marine environment in the area published in Sussex Sublittoral Survey 1984. From this early study Seasearch as we know it was borne. 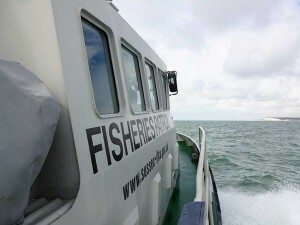 In Sussex, where a lot of Seasearch development work was carried out by Robert Irving, Seasearch started in 1992. Data were input into a MS DOS database system called Marine Recorder using an early but extremely sophisticated program called Advanced Revelation by Revelation Software [still produced but in a more . With the evolution of computers this system has been superseded by a Microsoft Access system of Marine Recorder developed at the Joint Nature Conservation Committee. Analyses of the data accumulated over the following four years led to the recognition of important sites. After a rigorous selection process, and with the help of Brighton & Hove Council, East and West Sussex County Councils, 12 sites were designated as Marine Sites of Nature Conservation Importance. An additional 12 sites were added later. Details of the sites can be seen here mSCNI_Table. Now country-wide branches of Seasearch input data on an annual basis and have helped provide essential information which is verified, combined and input into the National Biodiversity Network where they are available to view and be used. Such data have helped the recognition of Marine Conservation Zones and their designation This is an on going process as further evidence is amassed hopefully leading to further zones being recognized. See also here. The government has produced a policy document outlining their aims to 2015. 18. Sublittoral Chalk Habitats in Southern England. Special Protection Areas (SPAs) Protects populations of specific species of birds of European importance. Voluntary Marine Conservation Area (VMCA) Include areas of coastline which are of particular wildlife and scientific value that enjoy a level of voluntary protection.